There's a new day dawning for quilters. A new innovation called the BERNINA Stitch Regulator and its revolutioning free motion quilting. This patented innovation regulates the lenght of your stitches so you can create consistent free-motion stitches the first time you try it. No other machine offers this type of feature and it comes standard on the Aurora 440Quilters Edition, our best selling machine for quilters. 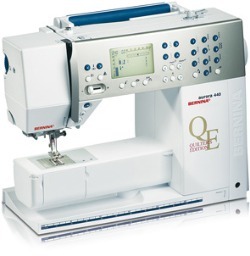 The Aurora 430 is a favorate of those who love sewing and crafting. The legendary stitch quality and solid Swiss precision offer everything you would expect in a BERNINA. 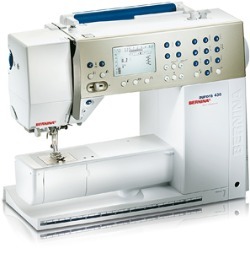 You can even add embroidery to the 430 and have it all at a very affordable price. The BERNINA Stitch Regulator for all your free motion quilting is an option.